Last week, Apple launched a free battery replacement iPhone 6s worldwide, faced with the problem of sudden switching off gadgets. The problem does not carry the security risks of using devices and found only in smartphones produced in late 2015. To know the production date of the iPhone and find out whether the gadget in the exchange program, not so simple: the “Apple” site is impossible to figure out when the smartphone made. For this purpose, Apple has launched a page where you can find out whether an iPhone replacement program battery. The manufacturer will replace the power supplies have a “minor party” smartphones. Under the free program are vehicles that were released in the time between September and October: in this period cupertinos seeded the batteries with defects. Step 1: Find out the serial number of your smartphone by navigating to Settings –> General –> About” or by opening iTunes Overview. 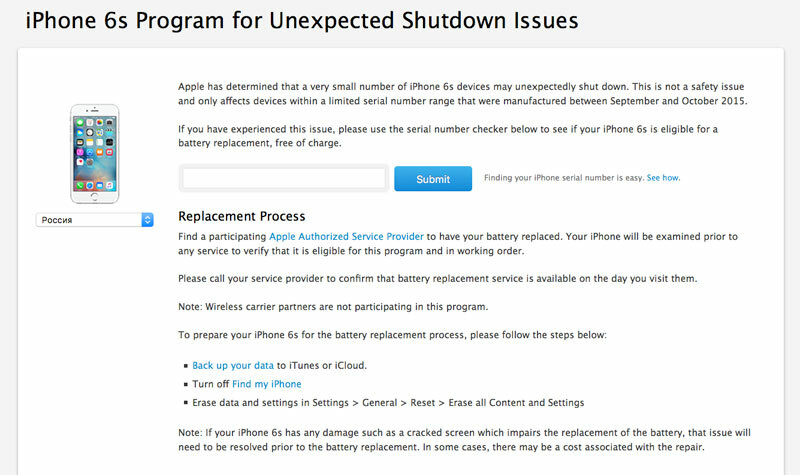 Step 2: Open page “iPhone 6s Program for Unexpected Shutdown Issues”, click on this link. Step 3: Enter the serial number in the box and click Submit. 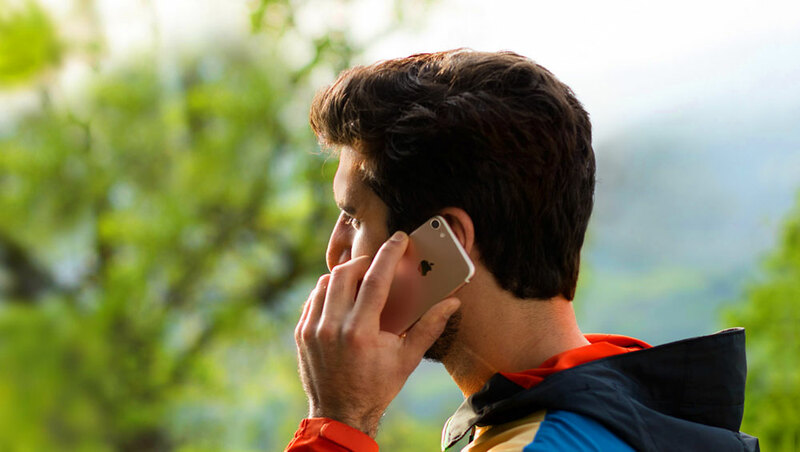 The program to replace batteries of iPhone 6s launched around the world. The holders of the gadgets who have smartphones tend to accidentally turn off, visit an Apple retail store or its authorized service center. Detailed information about the services your city can be found on the Apple website. In the Russian office of Apple did not specify what number of the iPhone in Russia, you need to replace the battery.